Blowout Sale! 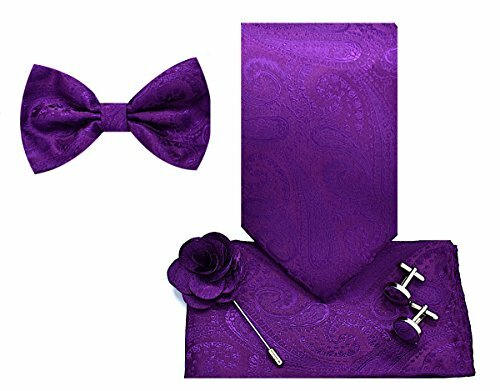 Save 67% on the 5pc Necktie Gift Box-Paisley-Dark Purple by Oliver George at SCRHI. Hurry! Limited time offer. Offer valid only while supplies last. This one of a kind 5pc set has been carefully hand crafted from the highest quality microfiber material. These products are boxed to insure the preservation of the items within this set. This is a great for birthdays, graduations, promotions, Father's Day, graduation, a new job, and weddings. This item is fit for any occasion and could be worn with any formal suit, tuxedo, or it can even be worn casually. If you have any questions about this product by Oliver George, contact us by completing and submitting the form below. If you are looking for a specif part number, please include it with your message.